The elder family is made up of several species of woody shrubs and small trees (with the exception of the dwarf elder, which are herbaceous plants). The name elder possibly comes form the Old English word “æled”, which means ‘fire’ (makes sense, considering what consumption of its leaves will do to the digestive system). The genus name is adapted from the Greek word Sambuca, the name of an ancient musical instrument made from the wood of the tree (and also a drink, but with unrelated ingredients). It is native to Europe and Asia, but has become naturalized to North America and has been prized by many people and cultures for its medicinal, culinary and spiritual uses. Elder has been used to make jams, jellies, and wine. most of North Americ, where it grows as a fast growing perennial shrub that prefers moist, sunny areas. Compared to the European Elder, it grows faster, and is hardier, but blooms later in the season. While there are several species of Sambucus, S. nigra is the most commonly used variety of elderberry. One variety, the dwarf elder (S. ebulus and S. adnata ) should NEVER be used, as it is toxic. Care should be taken to only use elderflowers, and ripe, cooked berries. Unripe and/or raw berries, leaves, stems and bark should not be consumed…they contain a poisonous cyanide-like compound that causes can cause nausea/vomiting, diarrhea, and can even cause coma and death. spirits, the Devil, etc, depending on the culture and even the time period. Procedure was not adopted. ill-luck could befall. the bites of venomous snakes. *Elder twigs were also woven into head-dresses to enable the wearer to see spirits and undo evil spells. *Elder has been named as the type of tree upon which Judas hung himself. *A cradle made of elder was once said to bring protection for the baby. *Elder planted around livestock was said to keep the livestock healthy. *The leaves of elder can be crushed and used around the garden deter caterpillars and aphids, and branches hung around areas with livestock are supposed to deter flies. Large shrub or small tree with irregular crown of few, stout, spreading branches, clusters of white flowers, and many small black or purple berries. Diameter: 6″ -1″ (15-30 cm). Leaves: opposite; pinnately compound; 5-9″ (13-23 cm) long; with yellow-green axis. 3-7 leaflets 1 1/2-4″ (4-10 cm) long, 3/4-2″ (2-5 cm) wide; paired (except at end); elliptical; sharply saw-toothed; stalkless or nearly so. Shiny green above, dull light green and hairy along midvein beneath. Often evergreen and leathery in South and Southwest. Leaves sometimes partly bipinnate, with up to 13 leaflets. Bark: light gray or brown with raised dots; smooth or becoming fissured and rough. Twigs: light green, stout, angled, with ringed nodes and thick white pith. Flowers: 1/4″ (6 mm) wide; with white corolla of 5 or 4 lobes; fragrant; many in upright flat-topped, much-branched clusters, 2-8″ (5-20 cm) wide; in late spring and early summer (year-round in South Southwest), shedding early. Fruit: 1/4″ (6 mm) in diameter; black, purplish-black, or dark blue berry; juicy; 3-5 1-seeded nutlets; maturing in late summer and autumn (year-round in South and Southwest). Elderberry plants can be propagated from hardwood or softwood cuttings, root cuttings, or suckers, and should be planted in early spring. They tolerate a wide range of soil conditions, but grow best in well-drained loam soils with good moisture and plenty of room (to minimize pests). The optimal planting distance between plants for a home garden, is ~6 feet in any direction. During the first two seasons plants should not be pruned, and after the second year, they should be pruned annually in early spring. All dead, broken and weak canes should be removed and three-year-old canes should be removed to encourage the new growth that bears greater amounts of fruit. Elder flowers are best harvested when they are all opened and have not begun to yellow, and generally bloom in July. Collect the flowers by plucking off the stalk at the cluster’s base and dry for storage, or preserve in sugar or syrup. Berries should ONLY be harvested when they are FULLY ripe, sometime between the end of July and mid-September, depending on location. Try collecting berries withoutthe stems by using a wide tooth comb and combing the berries off the stalks of the cluster. Berries should be cooked prior, or as part of, the preservation process (so that you can be sure that they are safely consumable). They can be frozen, dried, made into a syrup, vinegar, jam or jelly, or cooked into pies, pasteries and other baked goods. Elderberries are easy to freeze for use in pies throughout the year. Just stem and wash the berries, scald them in boiling water for one minute, cool them in ice water and drain off the liquid. Cover the fruit with a syrup, made with three cups of sugar to four cups of water, and pack and freeze the sweetened mixture (see the frozen food section of any good cookbook for full processing directions). Elder is traditionally recommended for its antioxidant, diaphoretic, diuretic, laxative, immune-boosting, and anti-inflammatory properties. It has been indicated to be useful in various studies to be useful to combat coughs, colds, flu, and bacterial and viral infections (possibly by boosting the immune system), to (slightly) lower cholesterol, to improve vision, and to prevent and treat upper respiratory infections, bronchitis and sinusitis by reducing inflammation in the mucous membranes and mucous production in the sinuses. 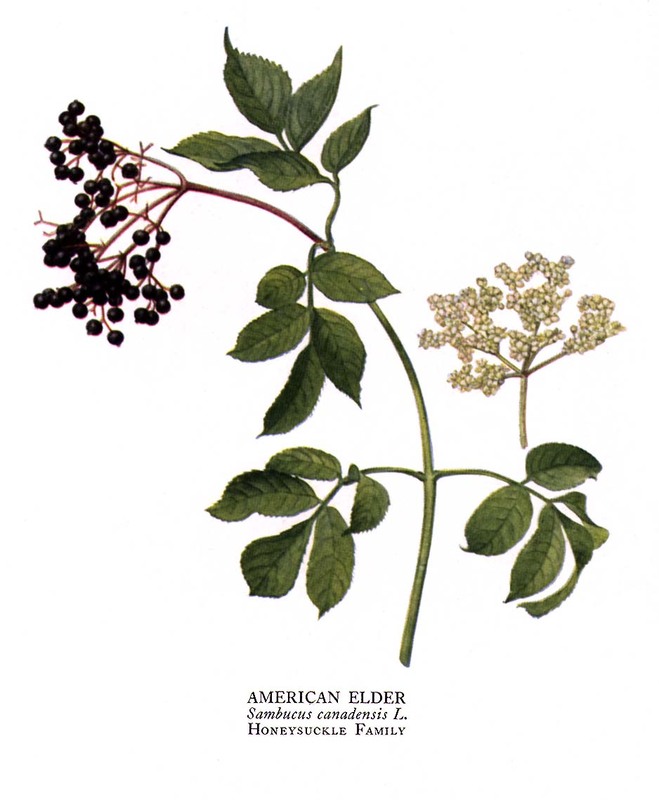 Elder flowers and berries are commercially available in liquid, syrup, tincture, capsule, and lozenge form. It is also available in two common commercial products, Sinupret and Sambucol. sambunigrin, a cyanogenic glucoside (0.042% by weight). Leaves of S. nigra express 2 classes of thaumatin-like proteins (TLP). The fruit-specific TLP accumulates only during the final stages of fruit ripening. The following 4 anthocyanins have been isolated from elderberry extract: Cyanidin 3-sambubioside-5-diglucoside, cyanidin-3,5-diglucoside, cyanidin 3-sambubioside, and cyanidin 3-glucoside. Another study has demonstrated that anthocyanins contained in an elderberry extract can be absorbed by humans in their glycosidic forms. Pediatric: Always discusss any herbal medication with your pediatrician before giving to your child. Liquid extract–One tablespoonful (15 mL) three times daily. *Unripe and/or raw berries should not be used. Nor should bark, leaves or stems. *Patients taking diuretics and laxatives should not take elder, as it has diuretic and laxative properties. *Diabetics should not take elder, as it may lower blood sugar levels causing hypoglycemia. *Persons on chemotherapy should not take elder without the okay of their oncologist, as elder may interfere with certain chemo medications. While only the flowers and cooked, ripe berries are GRAS (generally recognized as safe), there are common historical sources detailing the medicinal use of other parts of the Elder plant. The inner bark infused in wine, in small doses was a common emetic–(inducing nausea and vomiting (and according to Pliny, in ancient Rome, able to counteract the venom from snakebite), young spring leavse, boiled in honey were a cure for chronic constipation and the external applications of a poultice of elder leaves and bark in combination with Chamomile relieved joint soreness, stiffness and inflammation. The herb was thought to cure everything from headaches, freckles, bruises, and sprains to fungal infections, eczema, tumors, and stomach disorders. Personally, I don’t doubt that ingestion of a toxic substance might make you throw up or have diarrhea, but its ability to do so, IMO, isn’t worth risking cyanide toxicity when there are safer and more studied alternatives. 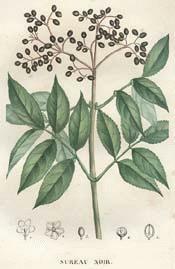 Elderberry is associated with protection, healing, abundance, blessings, banishing, consecration, cursing, purification, and cleansing. Elder is definitely a plant that one should get to know before using it magically, because the uses that appeal to one person, may not appeal to another (personally, elder is more of a banishing/cleansing herb, but I tend to associate magical uses more closely with their medicinal use). -Bunches of twigs can be placed around the house for protection (do so where children are unlikely to be able to reach and put them in their mouth). -Plant an Elder tree growing on your land protects it from negative energy and lightning attacks. -Wear or use in magical implements to ward off evil attacks. – Hung over doorways and windows, it keeps evil from the house. – Scatter the leaves and berries of the elder to the winds in the name of the person or object to be blessed and then scatter some more elder over the person or object itself. 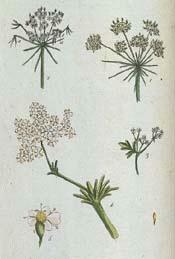 -To keep intruders from the home, place a pinch of any form of elder by the entrances of the home. – A wand or flute made of wood from an elder tree can be used when summon spirits. With a whisk, mix the flour, eggs, salt, and milk into a pancake batter. Rinse the elderberry blossoms several times, then pat dry with paper towel. brown. Dust with sugar and serve. the berries burst. Let the mixture stand overnight, then strain. Preheat oven at 350 degrees. Mix elderberries, sugar, salt and lemon juice. for 30 minutes. Optional: serve warm with a scoop of vanilla ice cream. Heat the berries over a low fire until the juice starts to flow and then simmer the fruit for 15 minutes. Strain the liquid through a double layer of cheesecloth (easier if you cook the fruit in the evening and let it drain overnight). Mix the elderberry and lemon juices along with just enough water to make three cups of fluid. Add the pectin, bring the mixture to a boil and stir in the sugar. Bring the jelly to a full boil again for one minute, pour it into sterilized glasses and cover the jars with paraffin. from The Wild Vegetarian Cookbook, by ‘Wildman’ Steve Brill (Harvard Common Press, 2002). Elderberries are the size of cultivated currants but very strongly flavored, crunchy, and not as sweet. Raw, they have a slightly rank flavor and give some people indigestion, so always cook them. You may also dehydrate and reconstitute them before you use them. Here is a recipe that demonstrates how good elderberries taste if you use them sparingly, with other ingredients, and sweeten the recipe. This bread contains all kinds of things crunchy: sunflower seeds, coconut, granola, and, of course, elderberries. 2. Mix the flour, ground glaxseeds, baking soda, and salt in a large bowl. the elderberries, granola, sunflower seeds, coconut, and lecithin. 4. Press the dough into 2 oiled 8 1/2 x 4 1/2 x 2 1/2- inch bread pans. the center emerges clean, about 1 hour. Thank you! 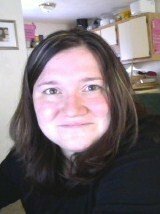 I’m glad you enjoy it, I love herbs and its hard to find complete information without combing tons of sources, which can be hard when you just want some quick info. Its a slow project (especially with two little ones), but its coming along. I also love herbs and seems like I spend most of my time learning about them in all their uses. Loved that you put the magical uses here. Do you happen to have Hoodoo Herb and Root Magic by Catherine Yronwode? I find it indispensable.